Austin is getting a new BBQ trailer. Wunder Pig Barbecue Co. is set for its soft opening tomorrow at 6 PM at the Empire Control Room (606 7th St.). Normal hours will be Wed-Sat from 9 PM until sold out. Grand opening is this Friday, March 7. June 28 Texas Q Tours trip! The trip will depart around 10:30 AM and conclude no later than 3:30 PM. As always, tickets are all-inclusive, non-refundable, transferable. Itinerary subject to change. Each ticket is $100. You can purchase via the PayPal button below. If you wish to pay via another medium, email us. Hope to see you June 28! White Smoke is Tokyo’s FIRST and ONLY Traditional Texas Smokehouse delivering a uniquely authentic American dining experience by introducing the “Low and Slow” method of smoking meat, from the old smokehouses of Central Texas, to patrons of Tokyo. There are only two kinds of barbecue joints. One has been around forever and each time you visit you’re praying the pitmaster hasn’t retired and the meat gone all to hell. The other kind has just opened and you know in your heart it’s not as good as the old kind, even though everyone is talking about it. 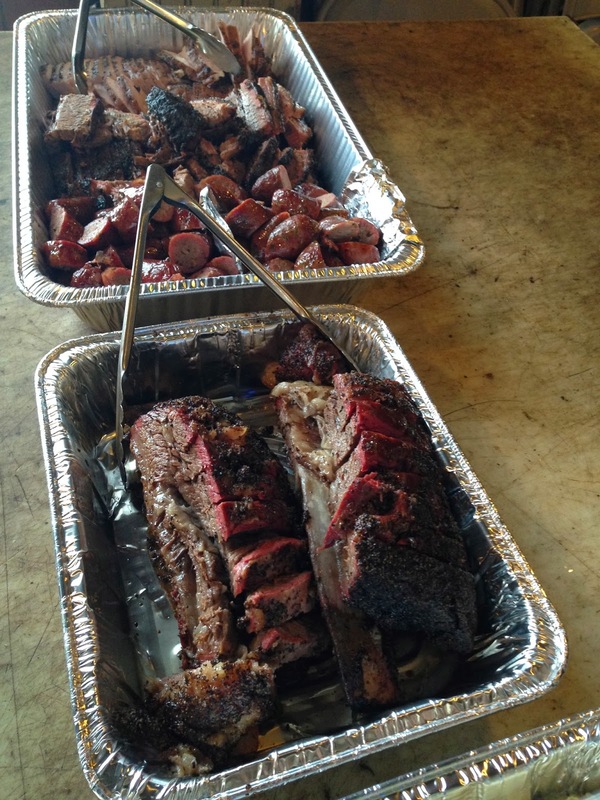 La Barbecue is the exception, new and as thrilling as Cowtown Rodeo. It isn’t pretty, that’s for sure. 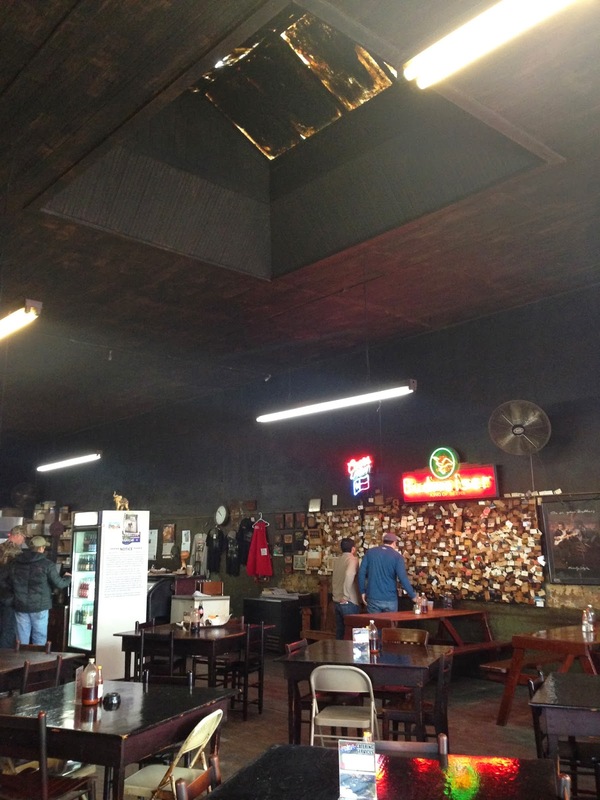 It subscribes to the new school of barbecue aesthetic, which means it’s almost a dump. You enter a compound with a dirt floor and chain-link fencing, pick up your food at a trailer, sit at a picnic table under what could be a second-hand revival tent, and hope the clouds overhead don’t spit cold rain on your ribs. All that’s missing is a junkyard dog. 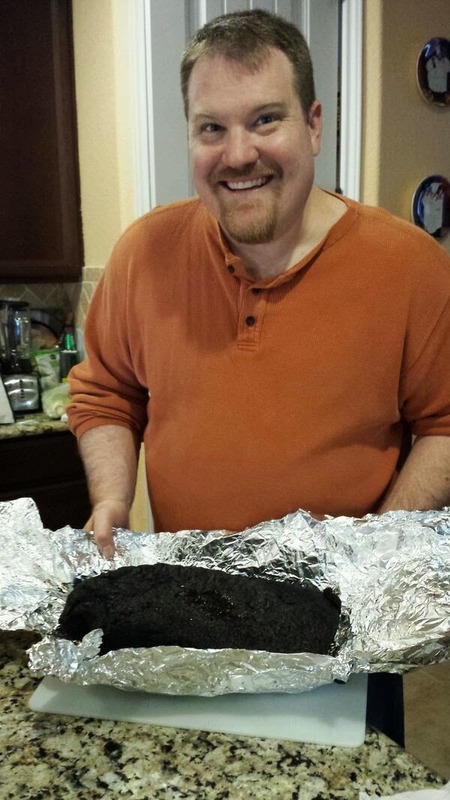 The barbeque is some of the best ever, as good as barbecue gets, maybe better if you’re talking brisket and beef sausage, the foundations of Texas barbecue. That sausage, much like a knoblewurst and probably German in origin, is smoky, coarse, chewy, spicy and meaty, so good I nearly skipped the brisket, I was so full. That would have been heartbreaking. The brisket is so exquisite you can ask for it lean, usually a mistake, and it will come out soft and savory, not even close to dry. Get a slice on the fatty side and you’ll be asking yourself if this might be the greatest beef you ever ate. May 31 Texas Q Tours public trip! The trip will depart around 9:30 AM and should return around 5:00 PM. As always, tickets are all-inclusive, non-refundable, transferable. Itinerary subject to change. Each ticket is $100. You can purchase via the PayPal button below. If you wish to pay via another medium, email us. Hope to see you May 31! 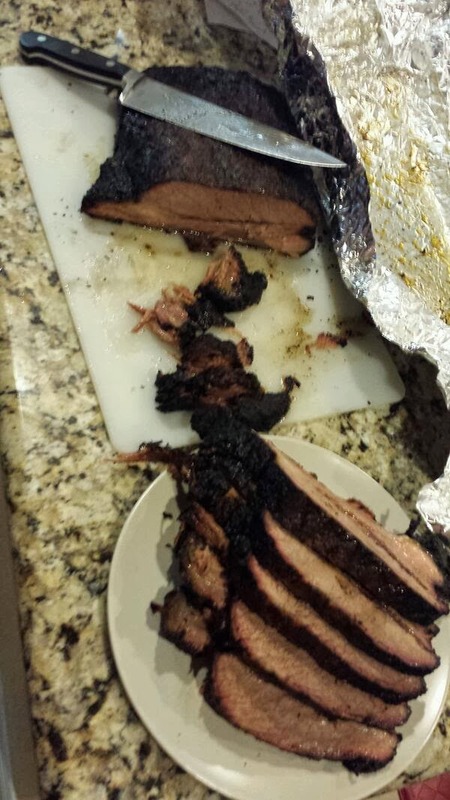 The winner of our whole-brisket giveaway from Brooks' Place, Alex Chapman, picked up his smoky prize and tweeted a couple of pics. Guess our invite got lost in the mail! 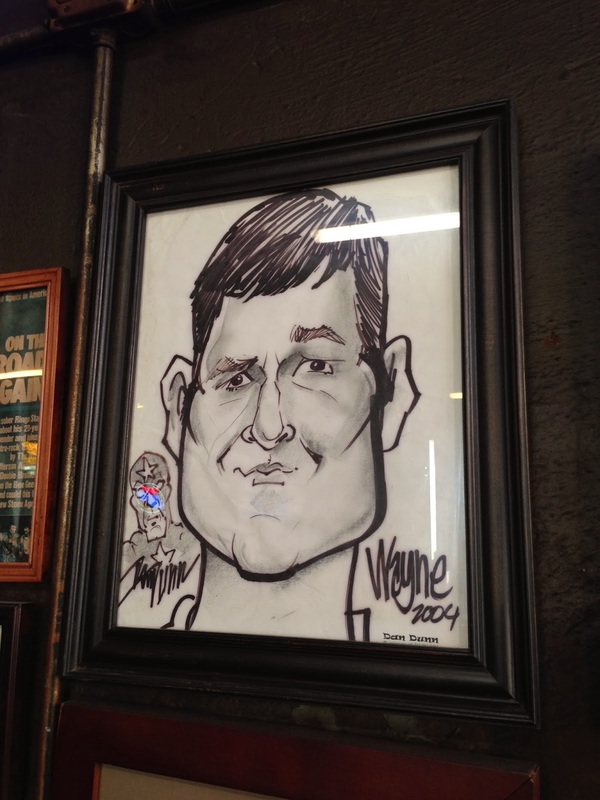 • Recognize the talent, hard work, and dedication of the owners and pitmasters that make Houston barbecue great. • Make the citizens of Houston (and Texas, and the U.S., etc.) aware of the long history of barbecue here and that the quality of Houston barbecue is comparable to other regional styles of barbecue. 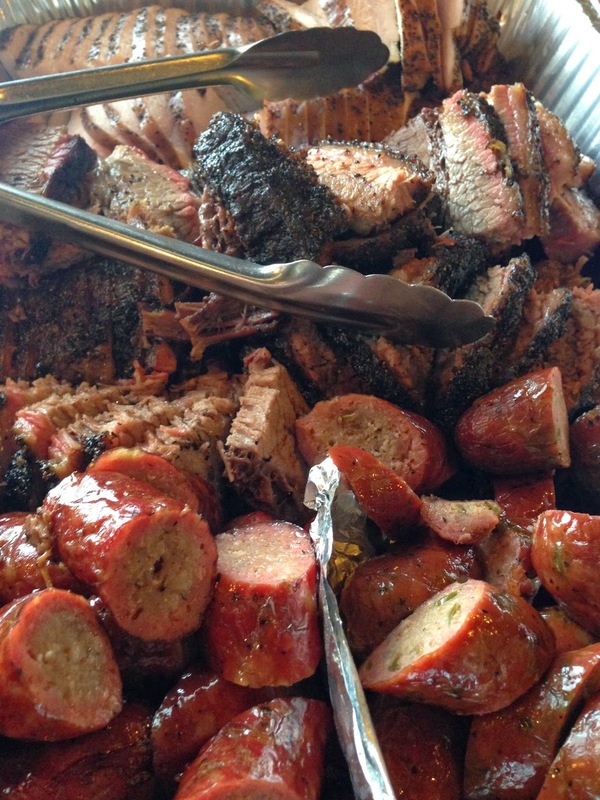 • Make Houstonians true connoisseurs of barbecue by offering samples of great barbecue so they can choose to patronize those barbecue joints committed to only the highest quality of barbecue. 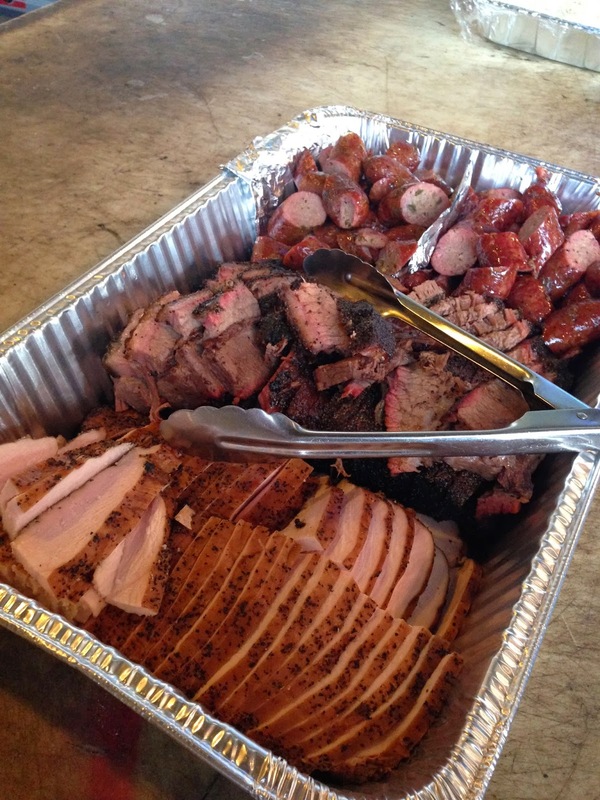 • Celebrate the diversity of Houston barbecue by including the many styles of barbecue found here. WHEN: Sunday, April 6th, 2014 from 1:00-5:00pm. VIP Admission at 12pm. WHERE: Reliant Park, Purple Lot. Parking entrance on South Main Street. COST: General Admission ($50) includes entry into the festival and unlimited sample portions from each participating Houston barbecue joint. VIP Admission ($90) includes entry into the festival one hour early (at noon) and unlimited sample portions from each participating Houston barbecue joint. A T-shirt and one (1) drink ticket are also included. To ensure a quality event for everyone involved, ticket sales are limited. All tickets sold in advance, online at http://houbbq.com. No ticket sales at the door. A bar (beer and wine) and live music will also be included. In its second year, the Houston Barbecue Festival will build on the success of the inaugural festival by including more Houston barbecue joints for a larger audience of Houston barbecue lovers. Expecting 20-24 barbecue joints and 2000-3000 guests, the event has moved to Reliant Park, one of the most prestigious and recognizable event venues in Houston. This year's festival will feature most, if not all, of last year's list of the who's who of Houston's best barbecue. Currently confirmed are: Blake’s BBQ, The Brisket House, Brooks’ Place BBQ, CorkScrew BBQ, Fainmous BBQ, Gatlin’s BBQ, Gerardo’s, Killen's BBQ, Lenox Bar-B-Que, Pizzitola’s Bar-B-Cue, Ray’s BBQ Shack, and Tin Roof BBQ. Additionally, the festival will include a few newcomers to the Houston barbecue scene: Feges BBQ, Oak Leaf Smokehouse, and Pappa Charlie's Barbeque. Baker's Ribs, a veteran of the Houston barbecue scene, will also be a new participant this year. Also new for 2014 will be a lineup of select out-of-town barbecue guests who will be rolling into Houston to showcase their barbecue side-by-side with Houston's best. More details on this at a later date. Additionally, staff from Texas A&M University's BBQ Genius Counter will be answering attendees' questions about all things barbecue, backyard or otherwise. Returning as a founding sponsor, Texas Original Pits will have a selection of their Houston-made smokers, grills, and fire pits for sale. The Houston Barbecue Festival has partnered with Vita-Living, Inc., a 501(c)(3) nonprofit agency in Houston, Texas that has supported people with disabilities for over 30 years. They currently serve almost 500 clients in seven counties through their residential, case management and foster companion care services. Vita-Living is recognized as a leading proponent of integrated community living and an expert in the care of individuals with complex disabilities and behavioral challenges. "We were looking for a partner in an under-served charitable area," explained Chris Reid, festival organizer. "Public funding for care of those with disabilities has decreased considerably in recent years. So, on behalf of the Houston Barbecue Festival staff, restaurants, volunteers, and sponsors, we are happy to contribute a portion of all tickets sales and sponsorships to help Vita-Living in this important mission." The needs of Vita-Living’s clients will not go away. They continue to be vulnerable throughout their lives and require lifelong services. For that reason, 88 cents out of every dollar donated to the agency goes towards the lifelong care of Houstonians with disabilities. "I'm so happy that Vita-Living can support the local flavor of barbecue in this great city," said Jillian Day, Director of Development at Vita-Living. "We're very grateful for the opportunity to partner with another organization that represents the best of what this city offers; namely, opportunity and innovation. It will also be a great way to recognize our volunteers since everyone loves great food." MEAT at Louie Mueller Barbecue! 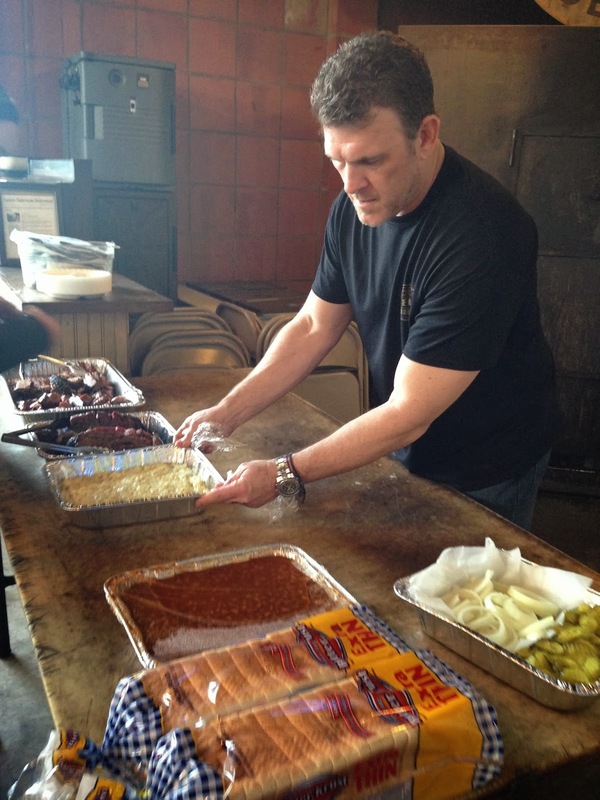 RICHARDSON, Texas – February 13, 2014 – Restaurant industry pioneer Larry Lavine is planning a summer 2014 launch for Ten 50 BBQ in Richardson, a restaurant that will feature authentic wood-fired, Central Texas-style BBQ along with homemade sides, pies and other Texas comfort food. The 10,000-square-foot restaurant will be located at 1050 N. Central Expressway in Richardson, north of Arapaho Road and east of U.S. 75, adjacent to DART’s Arapaho light rail station. The restaurant will be located inside a newly remodeled building offering 275 seats for lovers of Texas BBQ and Texas hospitality. The restaurant will smoke its meats using nothing but wood – including hickory, mesquite, oak and pecan, depending on the item – in its rotisserie and offset smokers, and it will feature superior grades of beef to create a world-class BBQ experience. Currently planned menu items include slow-smoked brisket, ribs, pork roast, chicken, turkey and several varieties of sausage, plus fresh-cut fries, fresh vegetables and house-brined pickles. Meals will include complimentary fresh-baked bread and jalapeno pinto beans. Available side dishes will range from German potato salad with house-smoked bacon and maple sweet potato casserole to three-cheese mac and cheese and roasted corn. Desserts will include a variety of homemade butter crust pies. April 19 public Texas Q Tours trip!!! Better BBQ in Denver or Seattle?